VISA is the most widespread credit/debit card service in the world. VISA processes more than 100 billion transactions on a yearly basis, it’s the largest of its kind by transaction volume alone. 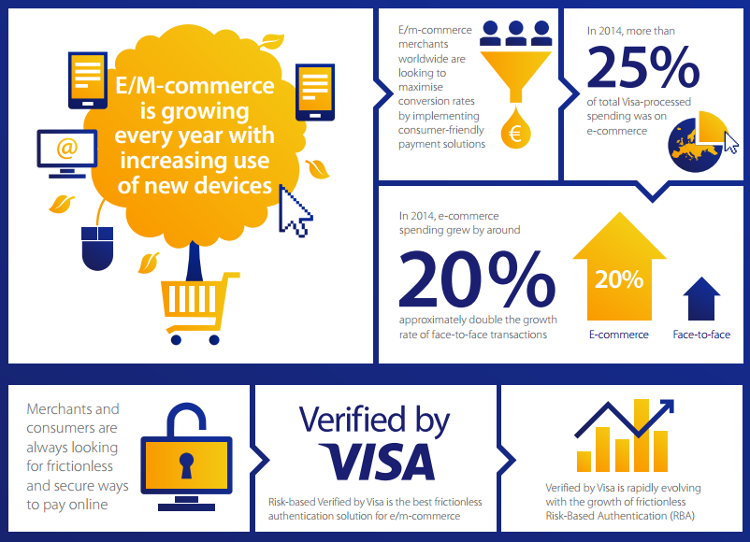 Since the dawn of e-commerce, VISA has made the lives of millions of shoppers easy. It is accepted everywhere, payments are instant, and using the card seldom comes with fees and charges. In the world of online betting at bookmakers, VISA is one of the most commonly accepted payment methods. Although credit and debit cards may have fallen in favor of e-wallets, most people still use their cards to deposit to their e-wallet in the first place. Without a doubt, we’re talking about one of the foundations of online banking. Lads are the leading online bookmaker in the UK. As such they cover most of the important payment methods. What is more their transactions are free from charge for customers. VISA is one of the card payment services which is accepted at Bet365. The chart below applies to both credit and debit cards. Skybet applies similar limits to that of Bet365. They have no set limits to deposits or withdrawals, but it is an unwritten rule that any exorbitant amount of money will have to go through detailed security checks. The most notable factor is the higher withdrawal times, albeit UK players will rarely have to wait more than 2 days. While using your VISA card at a bookmaker to make any type of transaction, you will not be charged any fees on the bookmaker’s side. Exceptions do apply, depending on the bookie in question. However, your card-issuing bank may charge you a minor fee per transaction. You will have to consult your bank in order to get the full details on this matter, as each one has a different set of rules when it comes to online transactions. As with almost any payment method out there, VISA deposits are always instant. Withdrawal times are the usual deterrent for players when it comes to using credit or debit cards. Unlike e-wallets, you will seldom see your withdrawal processed within 24 hours. This is why you can use your VISA to deposit to Neteller or Skrill, and enjoy faster e-wallet withdrawals at most sportsbooks. All VISA transactions go through two highly secure VISA facilities in Washington D.C. and Colorado. Every individual transaction goes through a hundred fraud prevention parameters, to ensure that all your information and money goes through securely. Using VISA to deposit at bookmakers is as safe as it gets. Using a VISA credit or debit card is a simple, secure procedure that takes less than a minute. When you’re at your bookmaker’s banking menu, click on the deposit button and select VISA as your payment method. After that, select the amount that you wish to deposit, and you are done. Make sure you’ve thoroughly investigated your bookie’s deposit limitations, fees (if any), and whether they will allow withdrawals back to your VISA card. Withdrawing with VISA is no different to any other method out there. When you’re at the withdrawal screen, select your VISA debit or credit card and click the “withdraw” button. In the case of a sportsbook being unable to pay back to your VISA card, they will allow you to select an alternative method or process your cash through a bank transfer. There’s hardly a casino in this world that won’t accept your VISA card, which is why it is no accident that you can use this payment method at the most popular casinos in the UK. Benefits of playing at a casino are the vast number of entertaining games on offer, providing a nigh limitless of ways to win and top your bankroll. The casinos we feature allow for shared funds between all products, meaning you can use your casino winnings to bet on sports matches and vice-versa. Titanbet Casino is a gaming haven for UK players. It contains several casino sections, all filled with top of the line games in the likes of video slots, table games, video poker, casual games, and many more. As a new player, you can also take advantage of a massive welcome bonus if you choose so. The casino is compatible across mobiles, and it features customer support through several channels at all times of day. Coral in one of UK’s leading betting destinations. Their website hosts everything ranging from sports betting to lotto and bingo. Casino players can enjoy the best of the best by way of video slots, live dealer games, video poker and much more. Coral also features frequent casino promotions, mobile support and live chat.